If you don't already know, my life is kind of a whirlwind of emails, meetings, class, and somehow having a social life. While I am in school I have 100 things going on at once. Between being co-editor in chief of my schools fashion magazine Trend, working as the PR & Marketing director for our Fashion Show, being in a sorority, to regular course work I have A LOT of daily reminders and things I have to do. So, what's my secret at remembering every single little thing to do? Well, first off here is a little disclosure: I am human and I do forget things on occasion. BUT I do find that if you follow these somewhat obsessive steps you will remember all of your assignments, to-do's, and obligations! Lists | I LOVE LISTS. Lists are my life source essentially during the school year. I love my Simplified Planner because it gives me plenty of area to create lists. But, sometimes that isn't even enough. I love the Target dollar section to pick up fun, cute, and useful notepads to keep on my desk or to paper clip into my planner. My favorites include a weekly to-do and my general to-do sheets. These are really helpful because you can write down your to-do's not only in your planner but somewhere else. Usually when I write something down more than once I usually always remember to do it. Repetition | This brings me to my next point- repetition. When I have a HW assignment due I write it down when it is assigned in my planner. But, I also write it down the day before it's due as a reminder and on the actual due date. This way I have 3 reminders of what the assignment is/ when it is due. This is super helpful because I am taking 18 credits on top of all my extracurriculars so having reminders is key. Sticky Notes | Adding sticky notes to your planner is a very easy way to get extra writing space and to highlight key to-do's or reminders! Color Coating | Each of my classes has a different color designated to it. So, just by glancing at my planner I can tell what classes I have assignments or HW in. It's an extra step yes, but I think it helps and it makes your planner super pretty! My colored pens of choice: Stabilo Point 88 Fineliner. 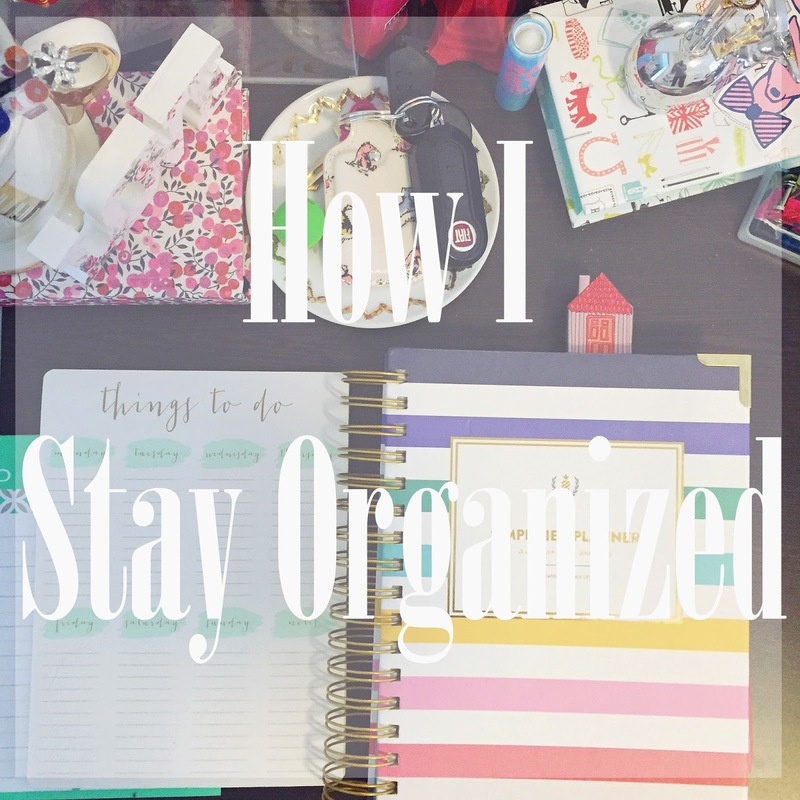 I hope you found these tips helpful to increase your organization for this year and for second semester! What are your favorite ways to stay organized? Let me know in the comments! I feel the same way with my planner! I feel like without it, I am no longer a human! Oh my goodness, you are so busy! I too love lists, I couldn't survive without my diary and work notebooks. Great post! I totally agree, I'm in a relationship with my planner too! I also have a separate notebook where I write all of my to-do lists. Such a great post!